Your morning tour of Tokyo starts with pickup from selected hotels in Tokyo or the Hamamatsucho Bus Terminal. Once you’ve settled into your coach with your tour guide, set off on your 3.5-hour exploration of the city. Visit Tokyo Tower for amazing views of the city from the observation deck. Stop in front of the Imperial Palace for a photo op. 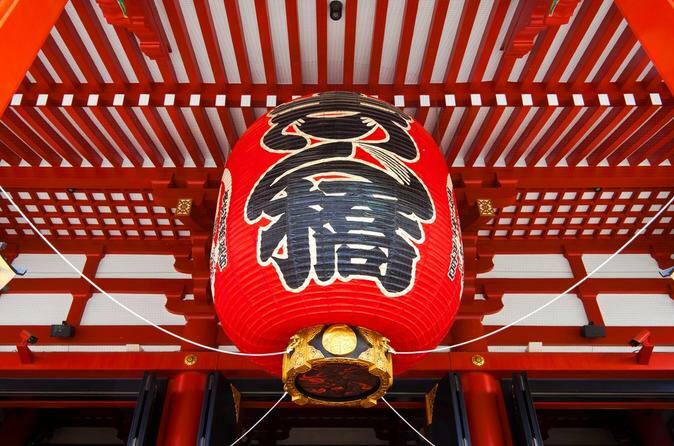 Visit Asakusa Kannon Temple (also known as Senso-ji), the oldest Buddhist temple in Tokyo. See Nakamise, a colorful shopping arcade crammed with small food stands and souvenir shops. Drive through Akihabara, a well-known shopping area for discount electronic appliances and computers. Tour Ueno, a district of Tokyo known for its parks, museums, temples and the Ameyoko street market area. Your tour ends with drop-off at Tokyo Station, near the Imperial Palace, in the early afternoon, leaving you perfectly placed to catch a train or continue sightseeing on your own.